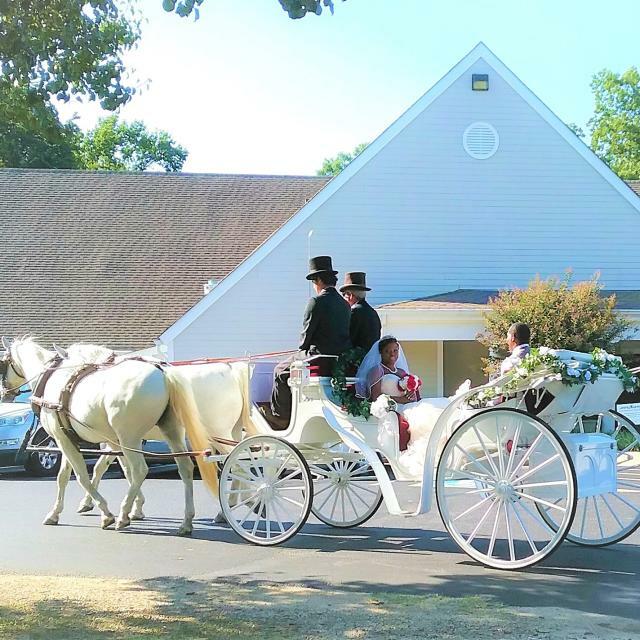 We are a wedding and event venue located on the St. John Neumann property in Powhatan County just minutes from Route 288 and US 60 (Midlothian turnpike). The Venue is tastefully decorated with a cathedral ceiling, beautiful chandeliers and a permanent dance floor. You and your caterer will love the new fully equipped kitchen and our flexible vendor policy which allows you to choose your own caterer or pick one from our preferred list. The outdoor ceremony site includes landscaped, terraced gardens, an attractive stone pathway and gazebo. All of our brides love the gazebo and the private, setting nestled among the trees! Wonderful place to enjoy the peaceful countryside for cocktails and lawn games then take the party inside for dancing and dining.